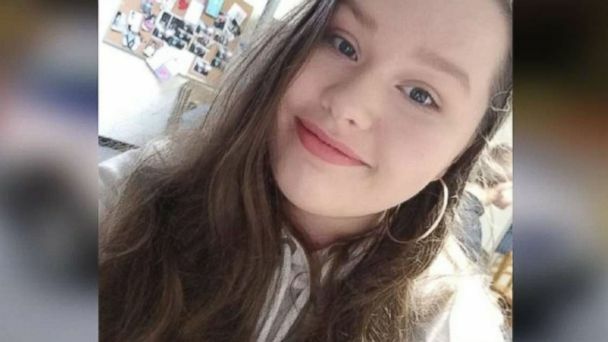 A 13-year-old girl from North Carolina was found safe in Oklahoma on Wednesday night, nearly three days after her family reported her disappearance. Authorities found Aubrey Acree with a 23-year-old man in Checotah, Oklahoma, more than 900 km from the girl's home in Rutherford County, North Carolina, according to the FBI. Police arrested Jacob Gardea, of Albuquerque, New Mexico. He faces kidnapping charges in North Carolina and additional charges could be laid, FBI officials said in a statement. "The Aubrey family has been informed of this good news and arrangements will be made in the near future for her to return home to her relatives in North Carolina," the statement said. "The forces of order are grateful to the hard-nosed witnesses who helped to open our investigation process with a solid track that led us to this happy outcome." Aubrey was last seen by family members Sunday night and reportedly missing the next day, according to the affiliate of ABC, WSOC. A witness reporting seeing getting into a car with an unidentified person in Mooresboro, NC, Monday. According to inspectors, a white Subaru SUV from 2005 to 2007 had been suspected of being an interesting vehicle. "It's heartbreaking," said Crystal Hope, a neighbor, at the time at WSOC. "I can not imagine what his family is going through, I know we continue to pray, I would be devastated if it was my child." The FBI is still investigating the circumstances of the girl's disappearance.